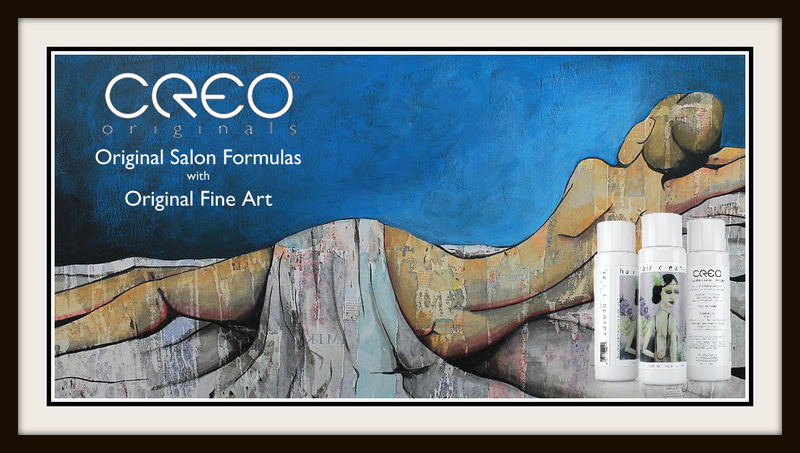 CREO promote’s undiscovered artists by adorning their original salon products with original fine art, and just launched a Kickstarter campaign to raise the capital required to promote their products and artists on a national level. CREO’s original salon formulas are proven effective and have been perfected through testing with hundreds of salon customers and stylists. CREO products feel good, smell good and are proven to help reverse and prevent all forms of hair damage and color loss, leaving hair softer, shinier and stronger. 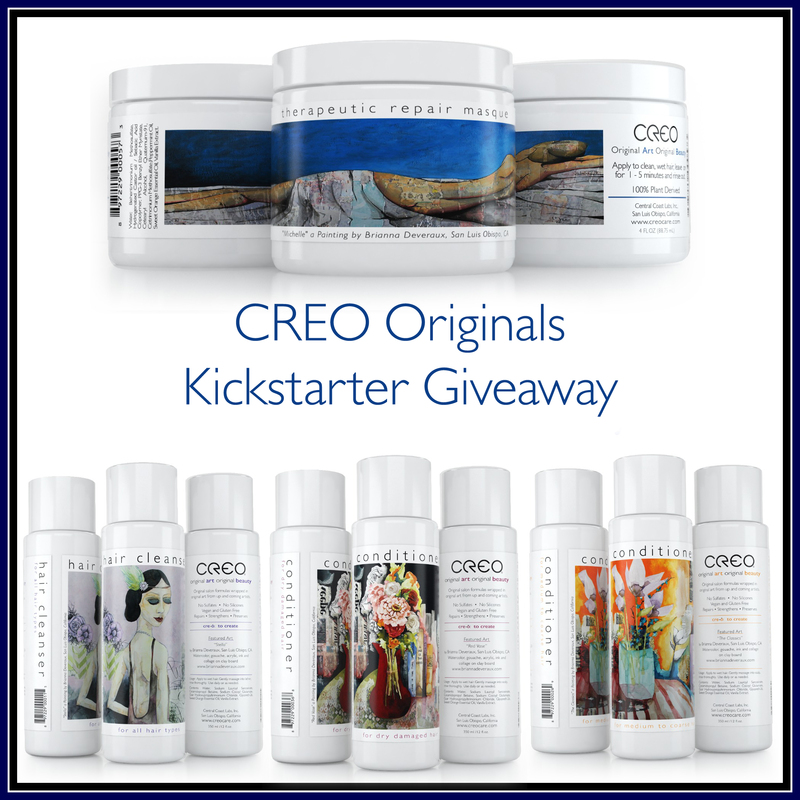 When you buy CREO Originals you’re getting healthful and eco-friendly products that are sulfate-free, silicone-free, vegan, animal cruelty free, free of synthetic fragrance, BPA free, TEA free, DEA free, oxide free, paraben free, phthalate free, petrochemical free and gluten free. CREO Originals stems from the inspiring work of undiscovered artists and they want to share that inspiration with you. Each bottle calls out the name of the featured art, artist and website. If an artist doesn’t have a website, CREO will establish one for them. CREO plans to feature a new artist every 3 months, thus enhancing your knowledge of up and coming artists, while allowing you to proudly showcase their products in your bathroom, shelves or counter tops.